Monday, May 21, 2018, 12:30 – 1:20 p.m. 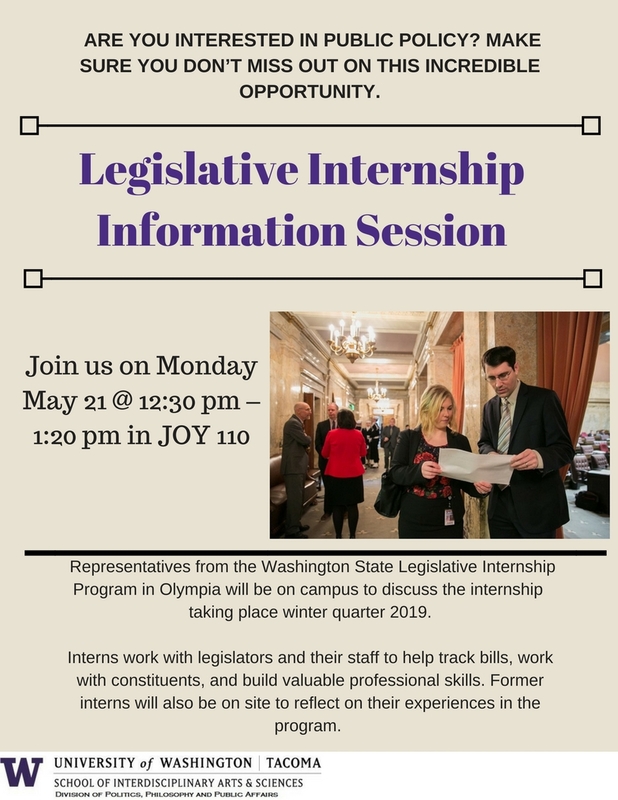 Representatives from the Washington State Legislative Internship Program in Olympia will be on campus to discuss the internship taking place winter quarter 2019. Interns work with legislators and their staff to help track bills, work with constituents, and build valuable professional skills. Former interns will also be on site to reflect on their experiences in the program.